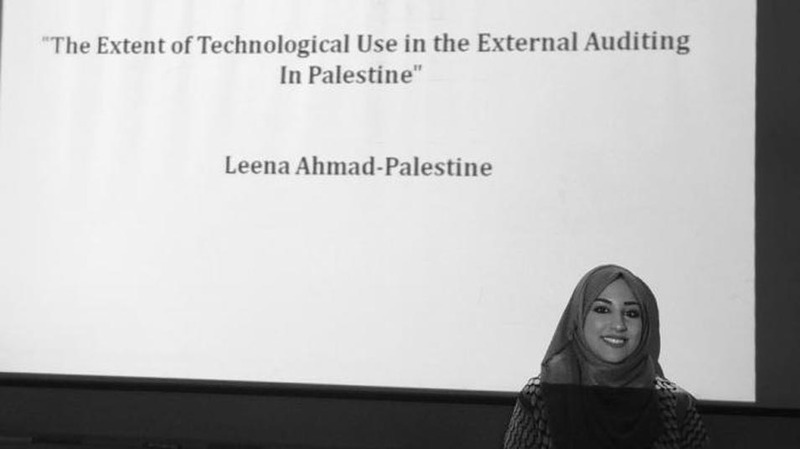 Lina Imad Abu Thaher, a Birzeit University graduate, recently won the first place in the Research category of the “Made in the Arab World” competition, organized by the Arab Science and Technology Foundation under sponsorship by the Arab League. 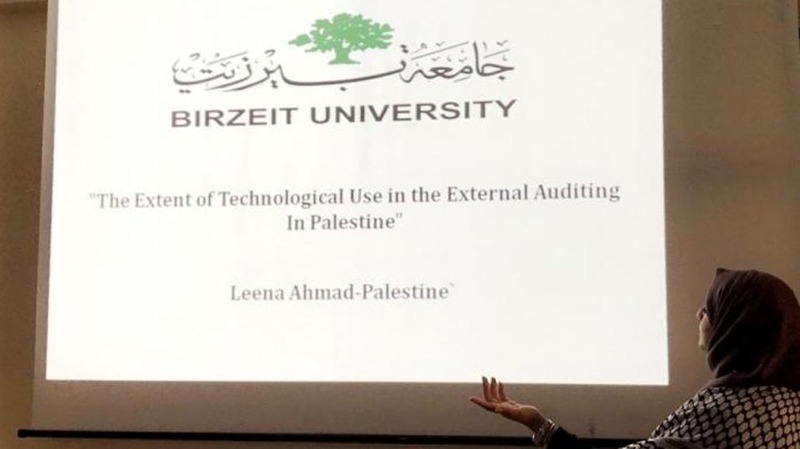 Abu Thaher studied accounting in Birzeit University’s Faculty of Business and Economics, from which she graduated in 2018, and submitted her capstone project to the “Made in the Arab World” panel. The dissertation is an overview of the changes that took place in the field of financial auditing in Palestine over the past 13 years due to technological advancements. Most companies who opted not to include automation into their auditing efforts cited fears of errors, noted Abu Thaher. “They listed fears of hacking or data loss as their main reasons behind not utilizing automation, especially with the constant Israeli attempts to hack Palestinian networks,” she added. Abu Thaher competed with 20 other Arab innovators after submitting her research project to a panel of judges in Amman, Jordan. There, she won sixth place, which qualified her for the next stage of the competition that discusses the results of the research project and methods of future development. “Made in the Arab World” is a competition that encourages research projects which positively impact social and economic development in the Arab world, while also establishing channels of cooperation with the private sector in order to fund, and apply, innovative ideas in real-life situations.